kim beller designs: trust creates peace…. and a big pacific northwest family vacation! trust creates peace…. and a big pacific northwest family vacation! new journal pages and a big trip to the pacific northwest. i made this little handmade journal to take out to oregon and washington with me. we just had our big trip out to the pacific northwest coast and it was awesome! 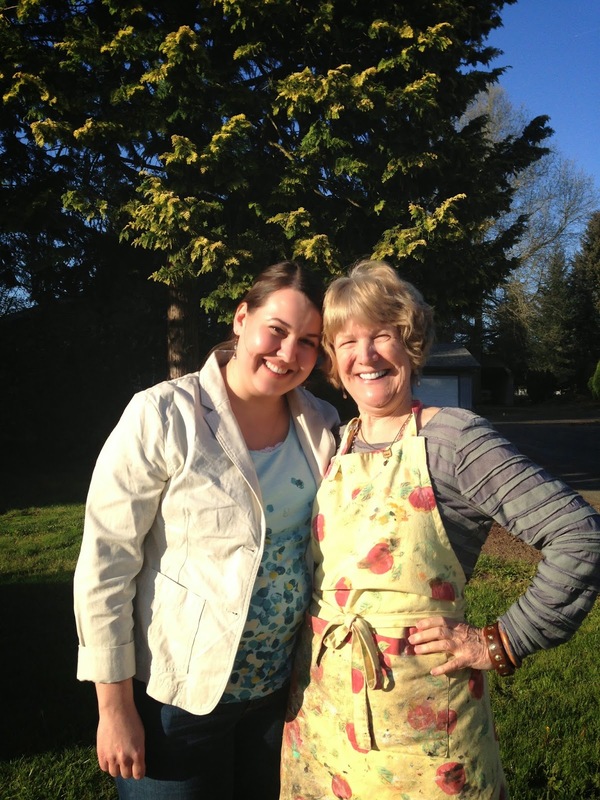 i couldn't wait to see judy again and meet jenny wentworth for the first time! 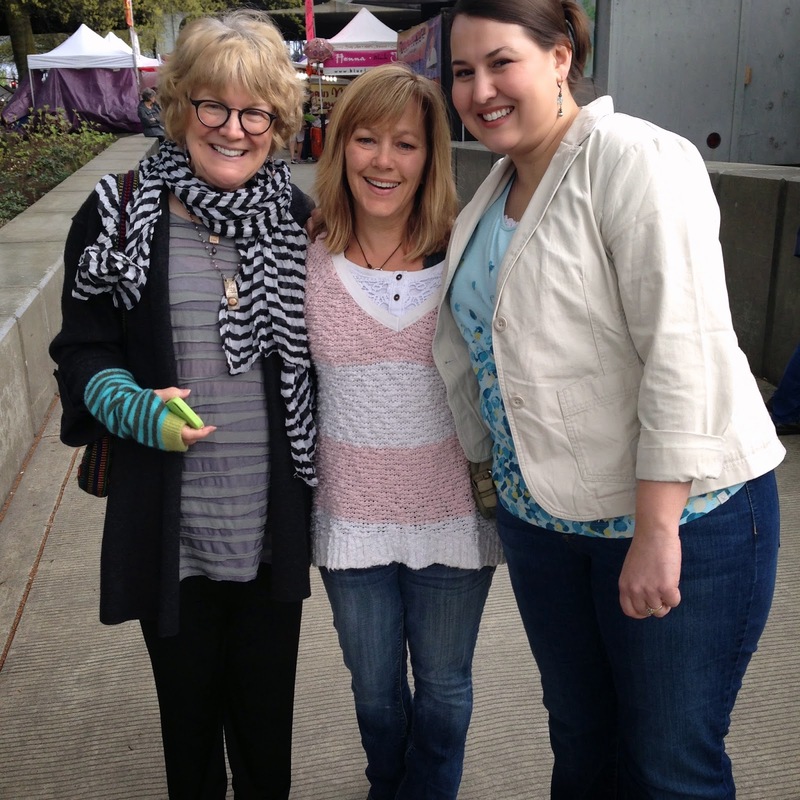 we all met up at the portland saturday market downtown under the burnside bridge. we all walked around downtown portland for a little while. the girls loved the downtown view of the river and bridges. 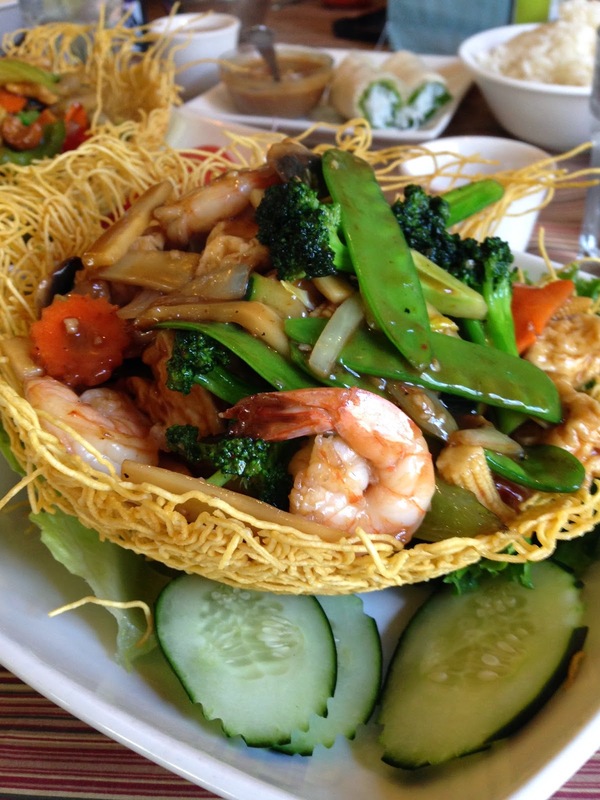 we enjoyed lunch together at one of judy's favorite vietnamese restaurants in the hawthorne district. then we were off to judy's house to make art with her and jenny. the girls had fun in the studio with us! 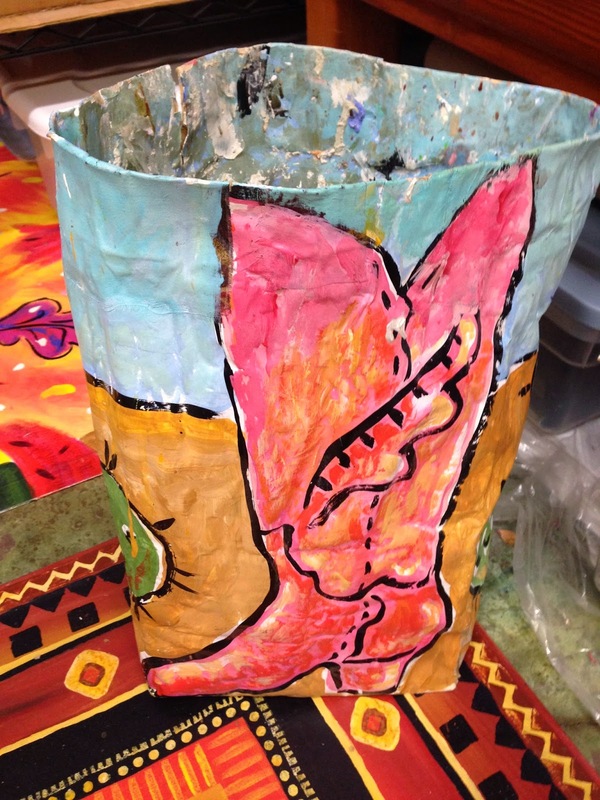 i asked judy where her trash can was, and this is what she handed me…..
even her trash can was artistic! she added paper mache to a bag and painted it. her style is so unique and her faces are dreamy…. judy has beautiful art everywhere you look! 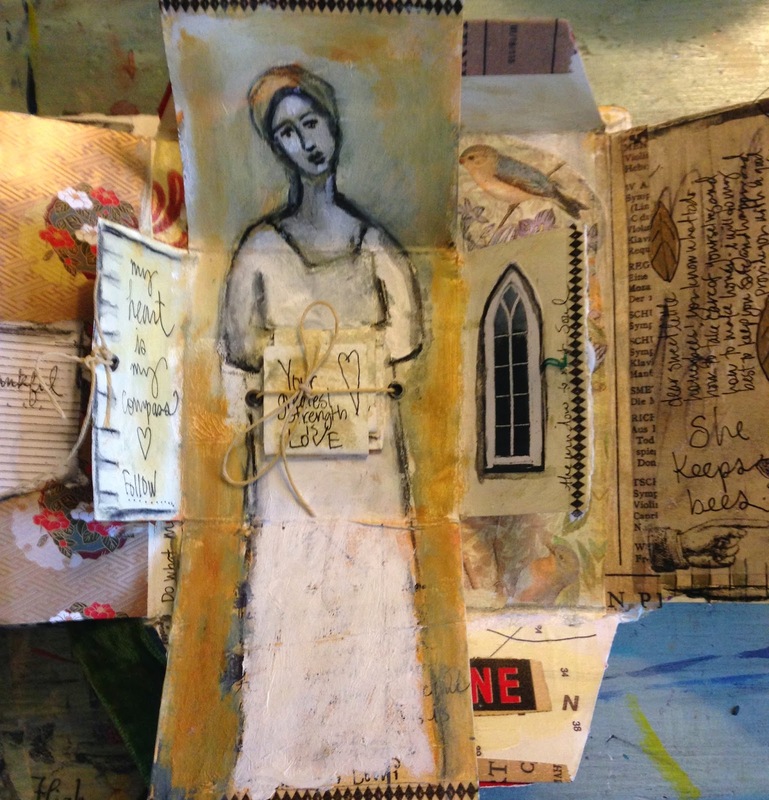 a vase and portrait from misty caught my eye….i love her style and her! jenny made some delicious brownies…(with blackbeans)!! 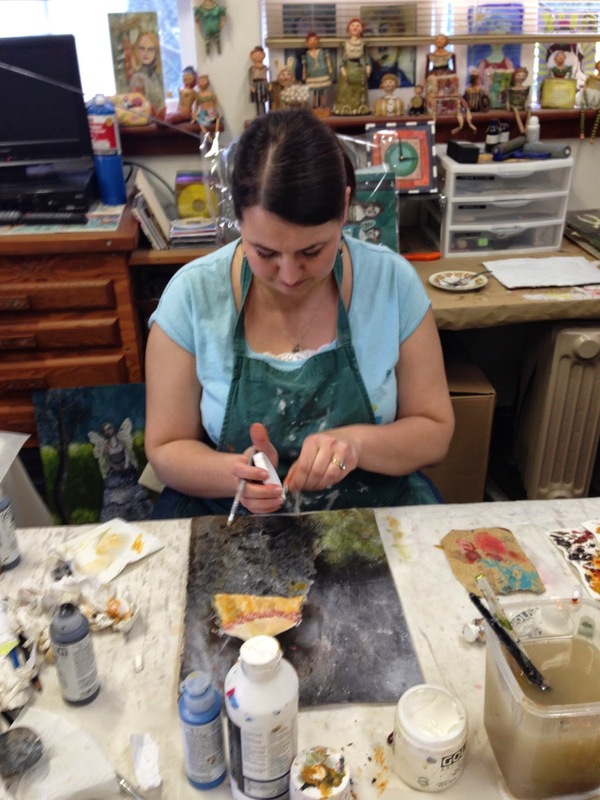 she's the artist who shares and shares and loves and loves…..
what an appropriate last name she has! 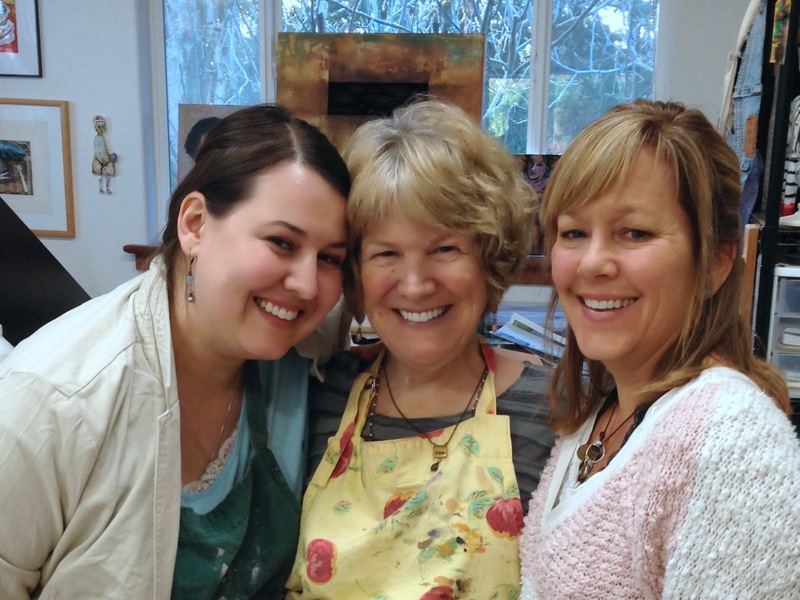 we spent the day in judy's studio soaking up the creative energy and having so much fun. judy's husband, john showed us around his gardens and it was amazing to see. he has so many different varieties growing….and the yard is gorgeous. it was a perfect day. on sunday, we took a drive up to the multnomah falls just outside of portland. the bridge was closed for repair, but we got to see it from a distance. it was magnificent…. after visiting the falls, we enjoyed trouncing around downtown oregon. 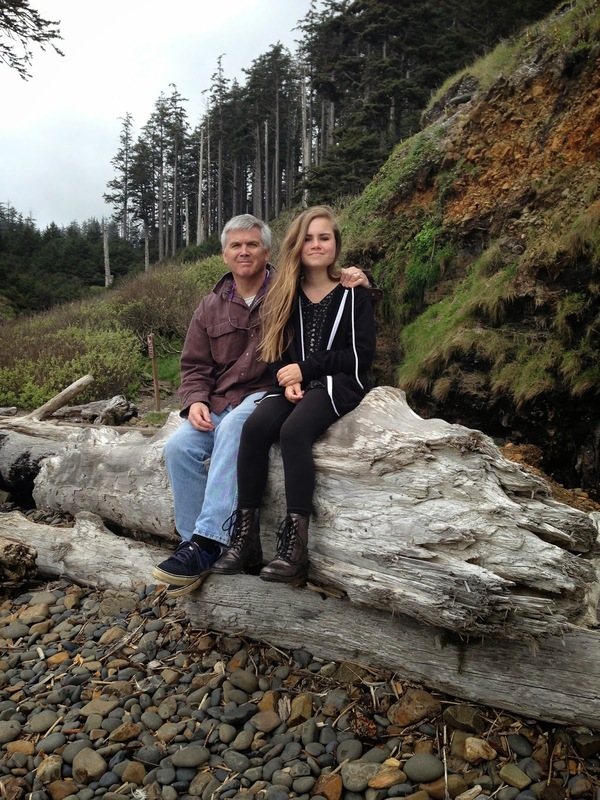 next stop….cannon beach oregon~ it's as beautiful as the photos and so intense. there were birds flying all around the top of haystack rock. luckily hagan noticed on the way home from dinner that the tide was low….we went back to explore and it was so cool to see all the marine life under and around the rocks. 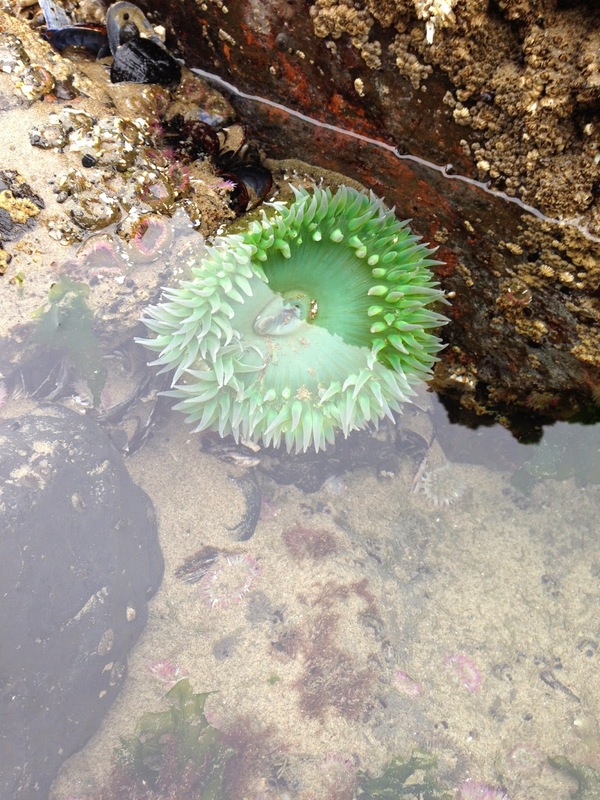 pacific sea stars, huge anemone and lots of mussels attached to the rocks. the girls loved it here. it's so different from our east coast ! just a little ride up the coast to indian beach. 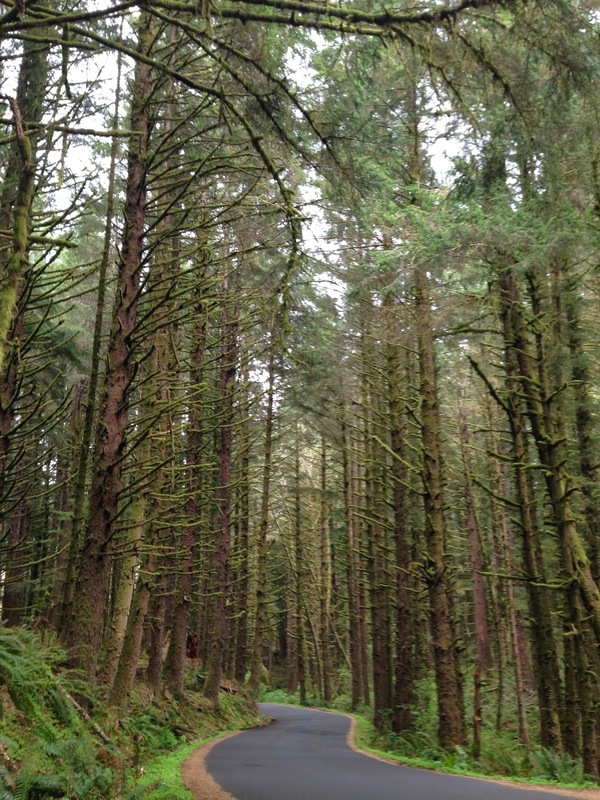 the drive up was beautiful….thick forest and tall , tall trees. 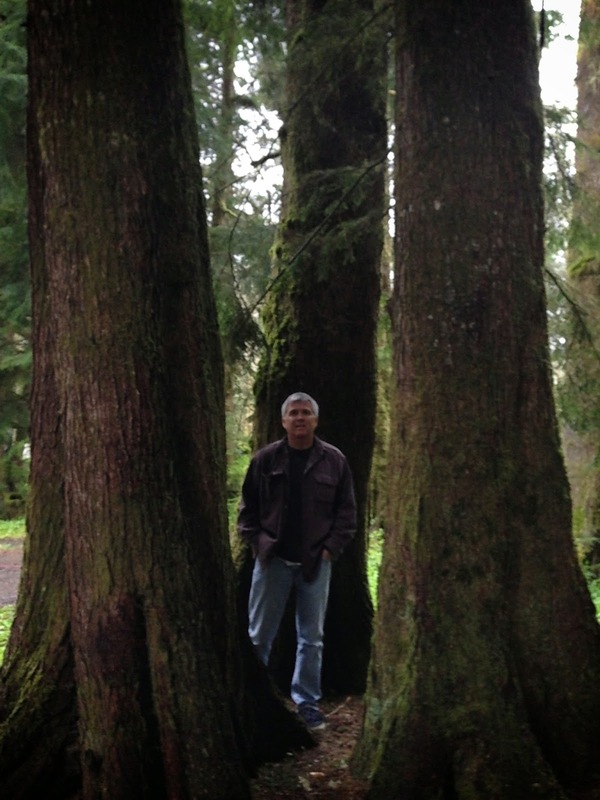 now, off to washington state….more HUGE trees! taking time to journal at the lodge where we stayed. 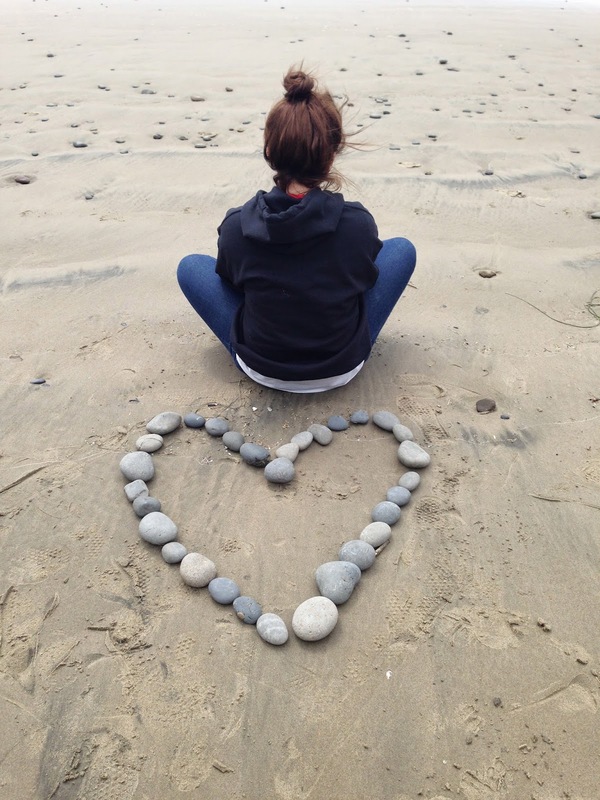 la push beach was beautiful….so many rocks and lots of huge trees washed up on the beach. the girls loved it here. we had a great time in seattle. i got to meet some friends from misty's full circle class at pike's place market….we walked all over seattle, then headed back to portland the following day. i went to the chihuly exhibit in downtown seattle. it was amazing. 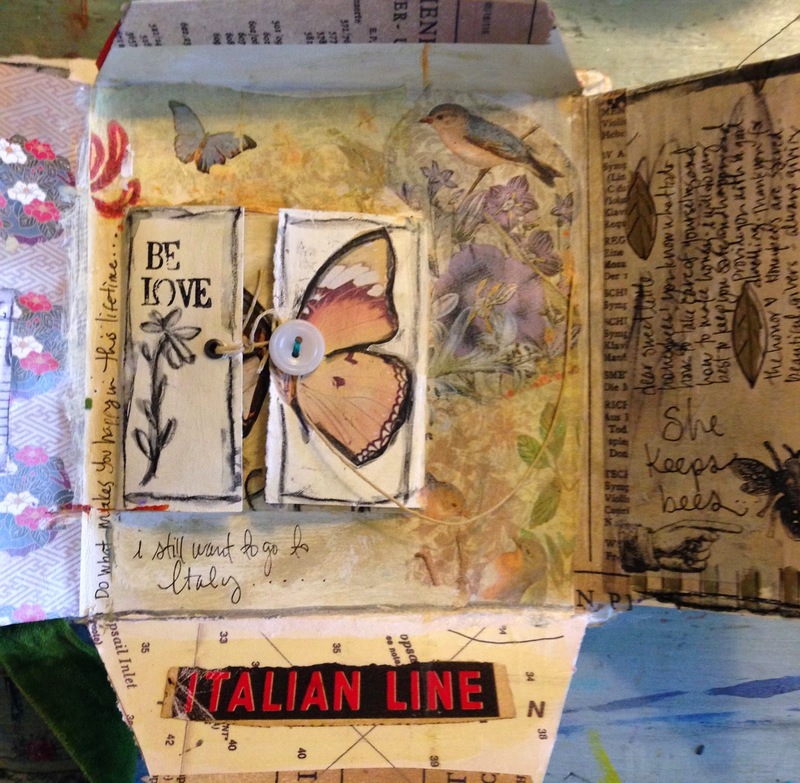 a few more journal pages…. making a little art in the hotel lobby with jenny ….waiting for judy to join us for dinner! sushi! downtown portland at koji sushi bar….i thought we would never get there….we walked and walked and walked. i saw so much of portland on the way there and back !!! it was delicious…..
i asked jenny to put a little something in my art journal….and this is what i got!!! LOVE this face. she whipped this right up and it's beautiful. my journal page with a little love note from hagan…..
this is my first journal page from home. we had such a great pacific coast vacation. i'm blessed to have seen so much and been to so many places. we are home again, safe and sound. it's good to be home. Thank you so much for sharing! That is one of my places on my bucket list. Wonderful place to see! nurture you own soul…make something meaningful.